Robert E Turnquist was born in Brooklyn New York on June 10, 1926 and spent the years in the run-up to WWII, as a medical student. After serving as a B-29 engineer, he returned to college under the G I Bill to find something to do with his medical credits and qualified as an industrial psychologist, but his career was already laid out in another direction. Turnquist's first car was a Ford Model A. This was not a flash car used to impress girls - Turnquist was only 13 when he first encountered it, and it was being used by his family to drag manure around the farm. But it awakened his interest in cars and engineering. From the age of 16 he was ringing the phone off the wall to locate any Classic-era Packards, Lincolns or Cadillacs around. At this time the cars were not considered 'Classic' - in fact the concept hadn't really developed - and one owner gave him a 1929 Cadillac sedan free of charge. He bought his first Packard in 1947, when he was 21: a 1928 Series 443 eight-cylinder phaeton. By 1948, he was already in business for himself, making and selling Packard parts, enlisting a local dairy farmer to bend exhaust components for him. In 1952, Turnquist and a handful of others founded the Classic Car Club of America. They were very much in a minority in thinking that there was anything worth preserving in pre-WWII automobiles; most car owners considered the earlier models something of a dead loss because they were so thirsty. Even those who did appreciate older cars didn't necessarily share his taste. In 1949-50 he had pulled up into the Antique Automobile Club of America's autumn meeting in a 1934 Packard Super 8 dual-windshield phaeton and been refused entry. The club asked Turnquist to park the car in the street, as it was a 'tour-tow' car, that is one only tolerated at antique car shows for purely functional reasons: in case a genuine antique needs assistance moving. By that stage Turnquist already owned 18 Packards at that stage and was an enthusiast and historian of the brand. He wrote The Packard Story which has been reprinted several times. Following a six-year Presidency of the CCCA, Turnquist moved into restoring cars and in 1964 set up Hibernia Auto Restorations, Inc., a restoration facility restoring steam, electric and gas vehicles. By 2005, Hibernia had completed some 700 total restorations representing 73 different marques. Of that number, 113 of the cars restored have been Packards. Turnquist kept a photo on his wall of his most difficult project: a Mercedes-Benz sports car that Count Louis Zborowski, a half-Polish, half-American member of British high society and later of Chitty Chitty Bang Bang fame, had raced at the Brooklands track. The task took two years to complete. But even this seems like a short time considering that the car had been in pieces for nearly half a century and all that the restorer had to go on was a well-aged newspaper picture. His collection was lead by one of the last limousines Packard produced: a Seventeenth Series limousine from 1939, built to order for George M Cohan, the legendary producer and director. 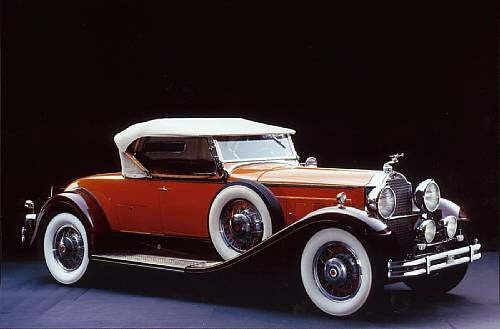 Turnquist's interest in collecting extended beyond his beloved Packards. His other hobbies included collecting model cars, Packard literature, automotive and western art and rare trees from all over the world. Turnquist died in 2009, aged 82 in the town in New Jersey where he had lived most of his life, and was survived by his wife of 55 years, Sonny (Sonia). His black gravestone is headed by a striking white image of a 1928 Packard Phaeton. Collectors across the internet and elsewhere paid tribute to his charming, thoughtful, and gracious nature and noted him as one of the "true giants" of classic car collecting.